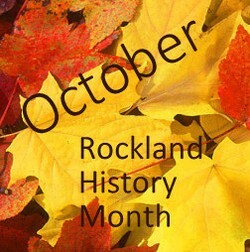 Spanning the Centuries: Chestnut Ridge/South Spring Valley, 1790-1970 ...This historic area of Rockland may surprise you. We'll learn more about the Upper Pascack Sandstones; the Haring mill site; the Duryea Farm; the Threefold Community and its founder, Charlotte Parker; and the eclectic mid-century Dexter Park neighborhood from our guide, Marie Monteagudo. Reservation and cancellation policy: Seating on this bus daytrip is strictly limited. All guests must pre-register. Refunds for cancellations will be given only if the space can be filled by another guest prior to trip. A waiting list will be compiled, and available spaces will be filled on a first come, first served basis. Only those who have made full payment can be accommodated.